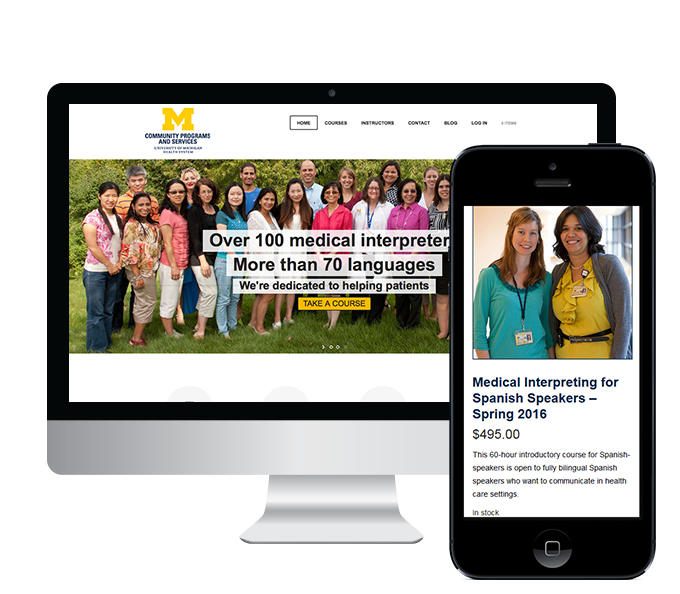 University of Michigan Health System (UMHS) Interpreter Services seeks to provide high quality, effective, and relevant medical interpreter courses to current and future medical interpreters. With over 100 medical interpreters in more than 70 languages, Interpreter Services seeks to empower patients by providing them access to outstanding health care. 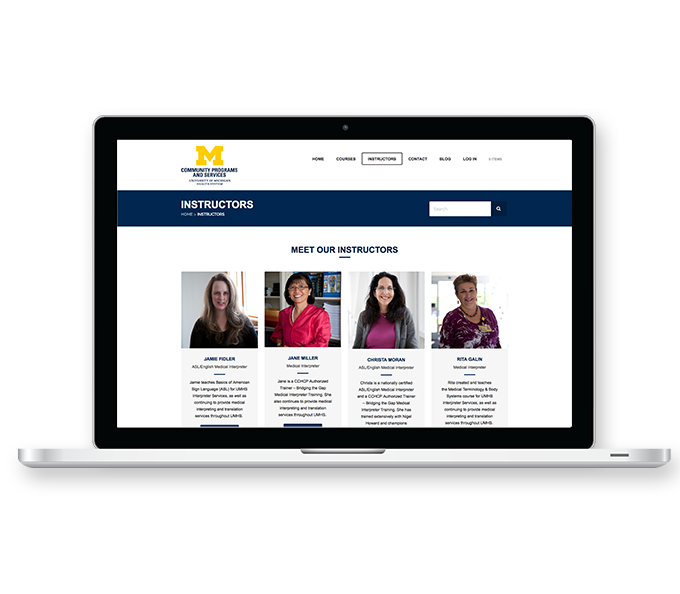 Interpreter Services’ staff were dissatisfied with the aesthetics and the user experience of their old site and wanted a user-friendly site that was also easy to maintain by non-technical staff members. Additionally, Interpreter Services wanted to expand their curriculum to online courses and sell their class materials to interpreters worldwide. Logic designed the new site in WordPress. 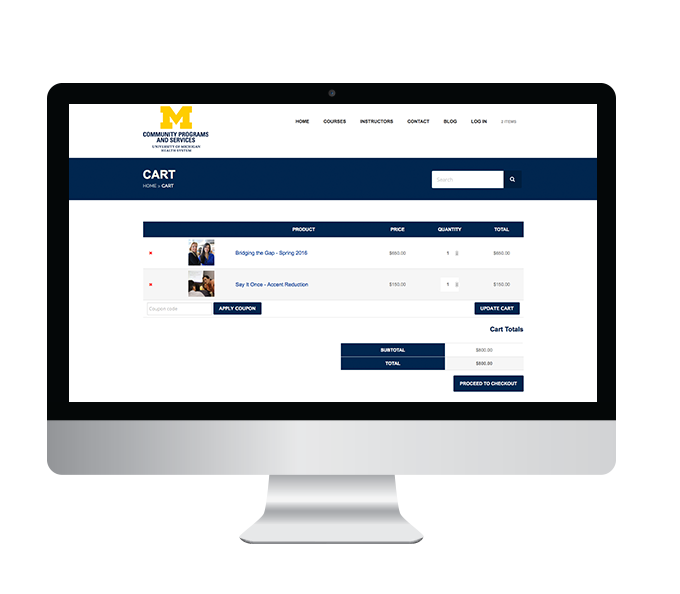 The site allows students and interpreters to sign up for offline and online classes as well as purchase class materials anywhere in the world. UMHS Interpreter Services is preparing to start Phase 2 of their project to expand their online course capabilities, including discussion forums and event registration.